The Funicular Folly is a self-initiated project by Rae Moore, for Body & Soul, an annual music and arts festival. 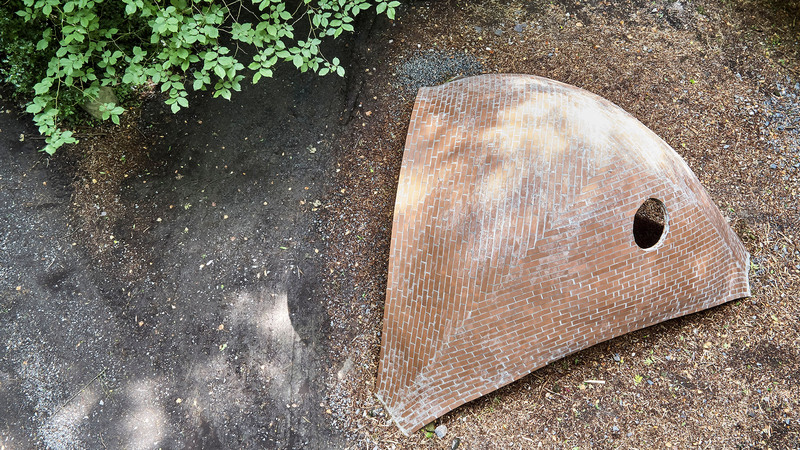 It is the first installation of its kind in Ireland, and will remain as a permanent feature on the grounds of Ballinlough Castle, Co.Westmeath, demonstrating the power and generosity of architecture as a contemporary art form. BRIEF The project is a response to the open call for proposals for art installations that form the festival’s Art Trail. The theme set by Body & Soul was ‘Second Skin: Transformations and New Beginnings’. AMBITION From the outset, Moore’s ambition was to create a highly innovative and finely crafted structure, that could captivate and excite the festival’s 15000+ attendees, and get them ‘buzzed’ about architecture. BUDGET The festival’s budget for the installation was just €400. Moore had the additional challenge of assembling specialist design and construction teams free of charge. 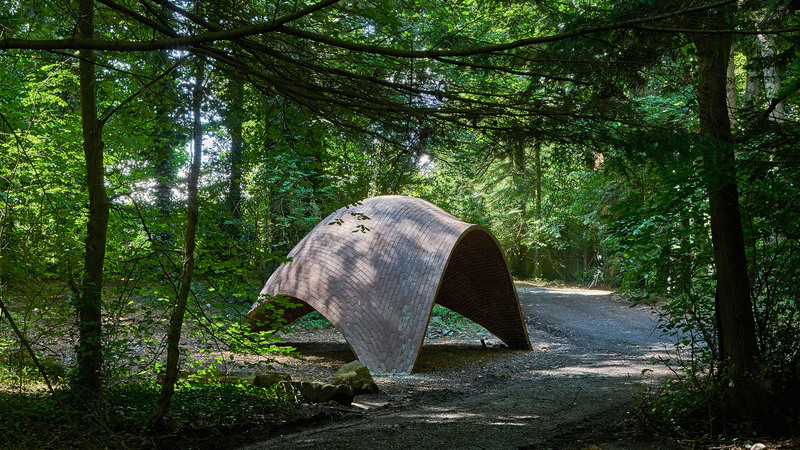 CONCEPT In response to Body & Soul’s call to ‘subvert everyday norms’, the Funicular Folly gives a forceful new life to a common building material – brick – by adopting a tent-like form that echoes its festival habitat. 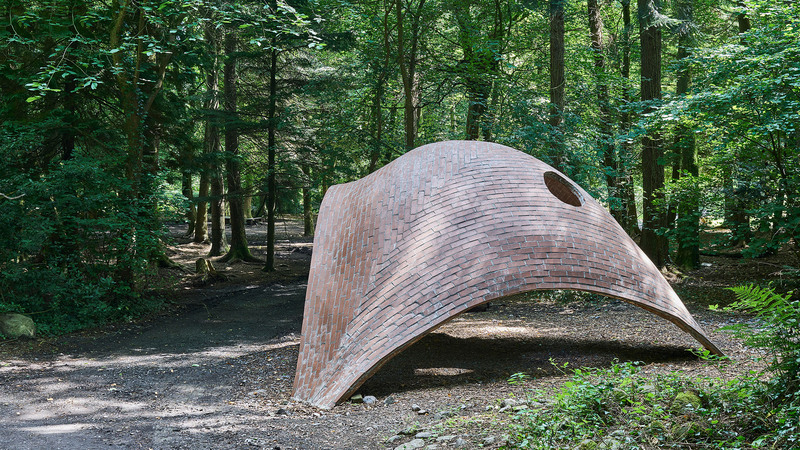 INNOVATION This innovative brick structure is the first of its kind in Ireland. Designed by Rae Moore in collaboration with Arup (Engineers), the project combines ancient construction techniques, contemporary craftsmanship, and the latest digital design and analysis technology. TRADITION Following the tradition of the architectural folly, this installation is a curiosity and a landmark, providing an intimate enclosure within its great brick belly. It is based on the plan of an equilateral triangle with 6m sides. A small oculus casts light through the interior. STRUCTURE As a funicular structure (i.e. 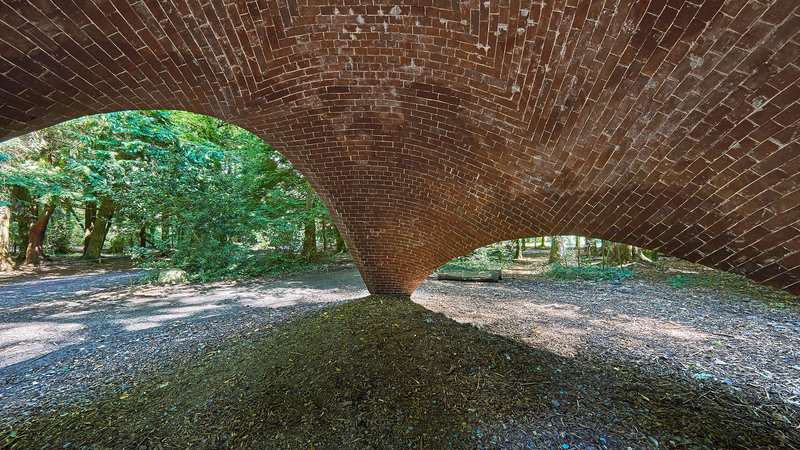 an eggshell), the slender brick canopy is remarkable for its strength, elegance and material efficiency. With a total thickness of 80mm, this freestanding curved form achieves perfect equilibrium through an idealised or natural curvature, known as a catenary curve. The structure disappears into the ground, where it sits on three concrete pads that are tied together with slender ground beams. CONSTRUCTION Using a technique known as the Catalan, or timbrel, vault, the structure was built up using thin layers of brick tiles and cement, cross-laminated to create a cohesive shell. To allow the brickwork to take shape, a complex temporary timber guide-work was digitally prefabricated using CNC technology and assembled on site. CRAFT The brickwork was carried out by a highly skilled and experienced team, who typically specialise in laying curved brick walls. The brickwork includes herringbone joints and a triangular pattern that is expressed at its apex. LONGEVITY The greatest risk to the longevity of the structure is damp and subsequent frost damage. There are three mechanisms at play to eliminate this risk: super-elastic mortar to avoid cracking; a water-resistant sealant over the entire outer surface; and a flexible DPM coating at ground level, to prevent capillary action from the ground through the brick. TEAM Every minute of time, ounce of material and gem of wisdom on this project was given for free. With an approximate cost of €38,000, this was an enormous and hugely generous team effort, achieved through passion and dedication alone.